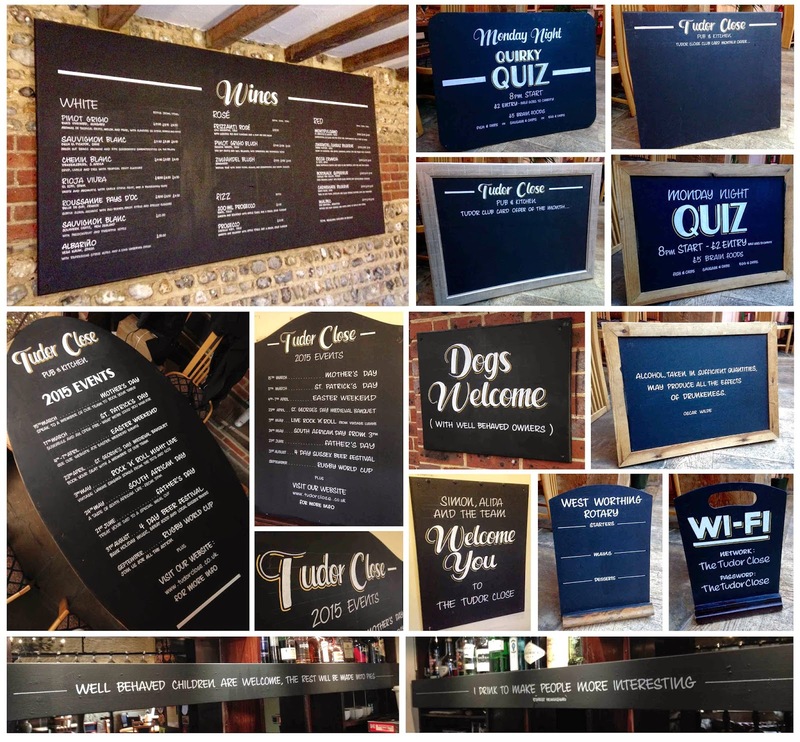 Pub chalkboards, blackboards and hand-drawn signage. One large double-sided a-board and two wall-mounted boards for the Crown and Anchor, Shoreham. 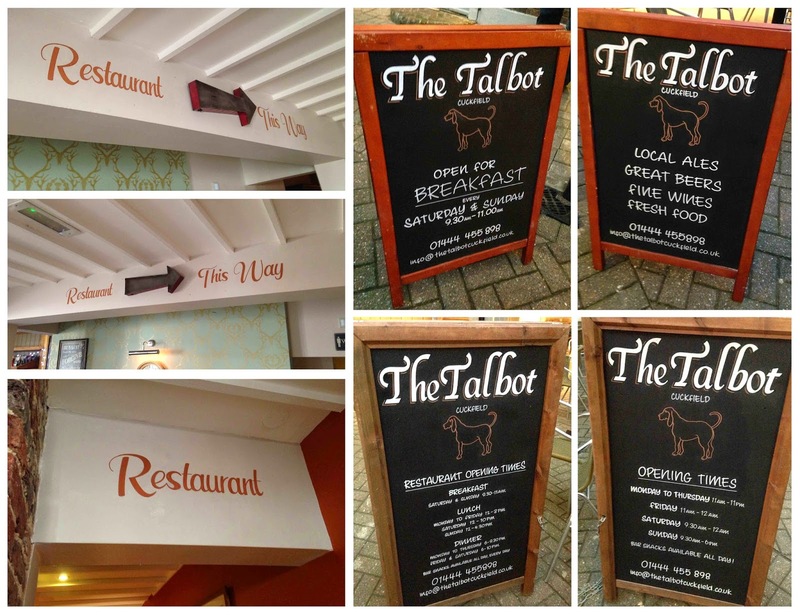 Assorted chalkboards and handwritten signage for The Talbot, Cuckfield. Massive amount of chalkboards and signage for The Tudor Close, Ferring. 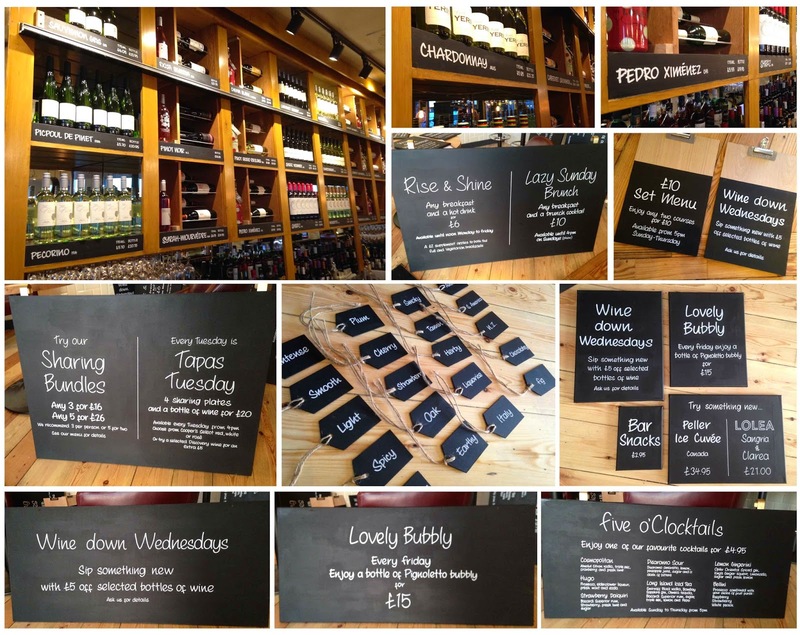 Chalkboards, blackboards and sign writing art. 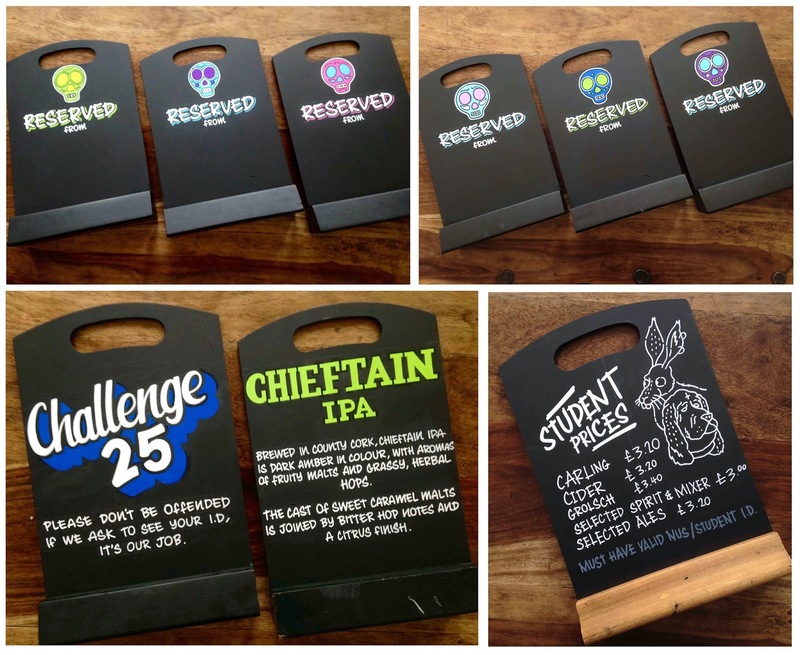 Assorted, simple chalkboards for All Bar One in Gunwarf Quays, Portsmouth. 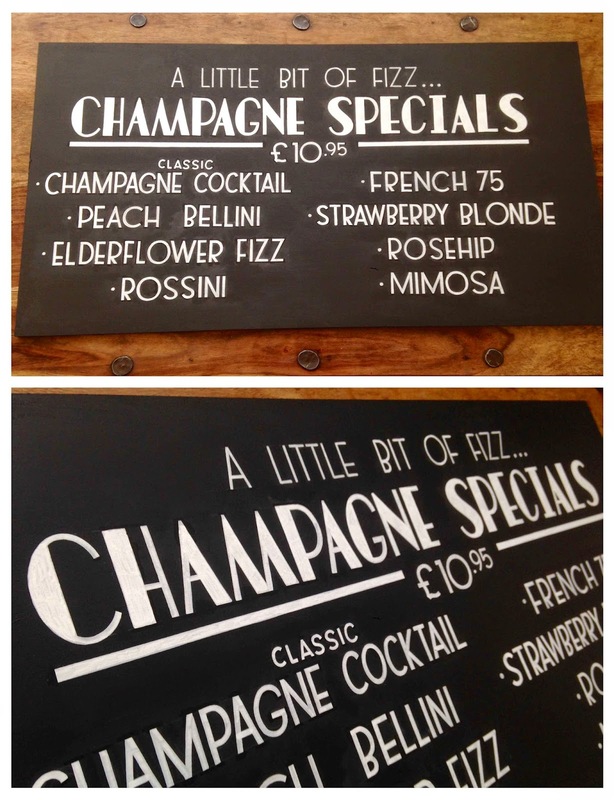 'Champagne Specials' chalkboard for Dirty Blonde in Brighton. 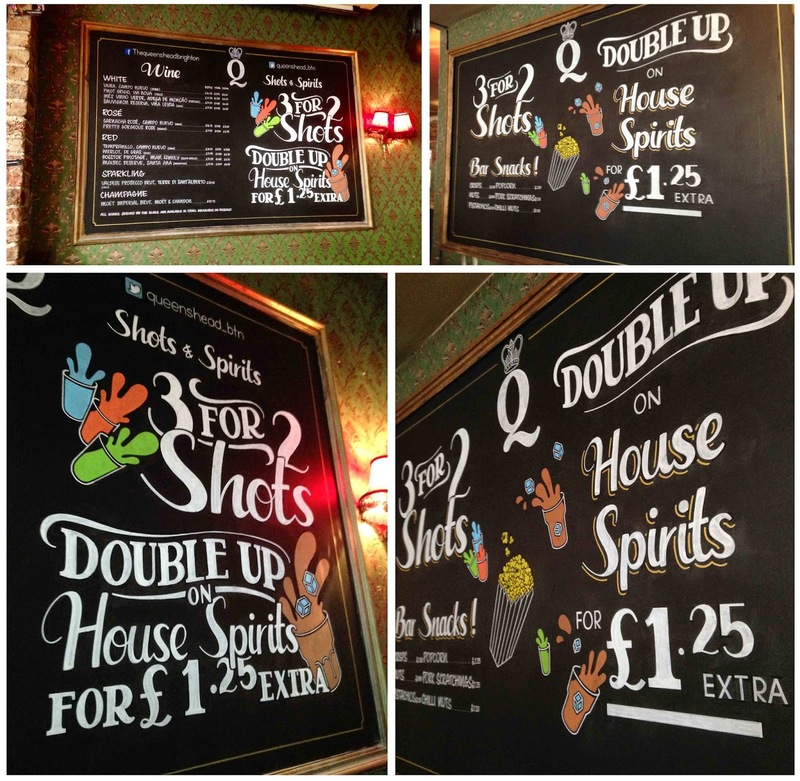 New chalkboards for the Queen's Head in Brighton. Blackboard chalk sign writing. Pubs, cafes, shops and more. 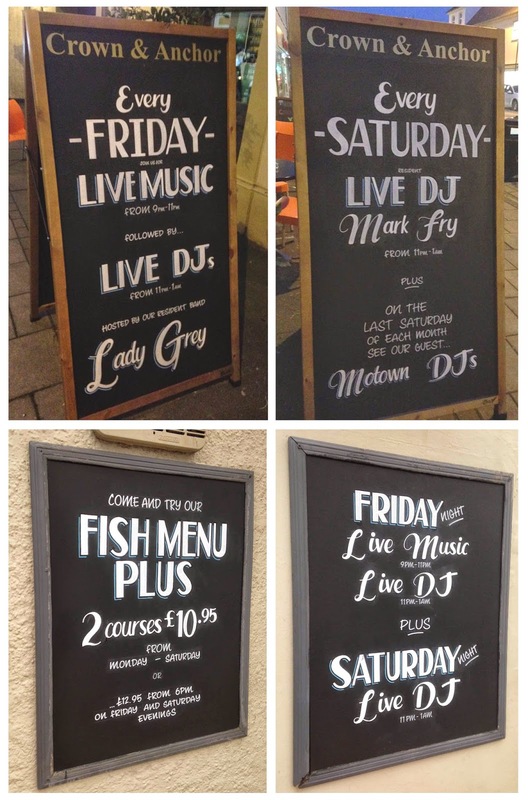 Tombstone blackboards for The Hare and Hounds pub, Brighton. Assorted hanging blackboards for LangeLee's cafe, Brighton. 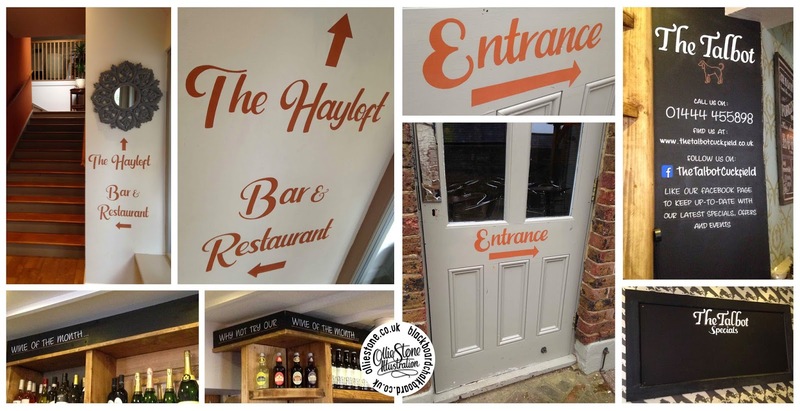 Signage and two double-sided a-boards for The Talbot pub, Cuckfield.